Dana Trentini has the kind of welcoming smile and demeanor that makes you feel comfortable as soon as you greet her. Susanna, our waitress, hangs around, having taken an interest to the cameras, recording devices, and the interview process; all the while looking on at Dana proudly. Dana thanks Susanna and the owner of the Brownstone Diner and Pancake Factory, who knowingly nods towards us. Thanks to Dana, the owner has allowed us to set up our interview during their busiest time. It's easy to see why the staff here have taken a liking and fondness to Dana. It seems she has the ability to make connections wherever she goes, which shows both here and through her blog, Hypothyroid Mom. Her personality radiates warmth and she makes you feel as if you’ve known her for several years. When we sit down with our coffees, she feels like an old friend I can’t wait to catch up with. Genuine and frank, perhaps this is Dana’s wide appeal and why since 2012, her following has grown remarkably. Hypothyroid Mom receives over 2 million page views a month and the blog’s Facebook page has over 600,000 likes. Sitting across each other with hot coffees in hand, I wonder how Dana has been able to form such a strong online community, what struggles she must have gone through to be where she is today, and that’s when I work up the courage to ask about her second pregnancy. "I've had symptoms, as long as I can remember,” Dana replies, when I ask her about her journey with hypothyroidism. Dana was diagnosed with the condition after the birth of her first son, Benjamin. A series of seemingly unrelated symptoms led her to the ER with kidney stones, and it was there, after full blood work, Dana learned about hypothyroidism. Soon after, she went on medication and followed doctor’s orders, believing she had her health under control. However, during her second pregnancy, Dana started feeling increasingly ill. She eventually miscarried. Filled with questions, sadness, and rage, she sought answers. She discovered her TSH levels were much higher than they should have been, and had her levels been controlled, she would not have lost a child. It was then she went on a mission to spread awareness. "I feel like I went from sorrow to great joy." Dana tells me, looking back on her own evolution with Hypothyroid Mom. "Because now I hear from women who are finding Hypothyroid Mom, who are feeling better. They're losing their weight. Their hair has stopped falling out. They go on to have beautiful babies when they're told that they'll never have a baby." What started as a small hope that no woman might have to go through what she went through, became something that has given Dana strength she never imagined, a voice, and a closer bond with her children. 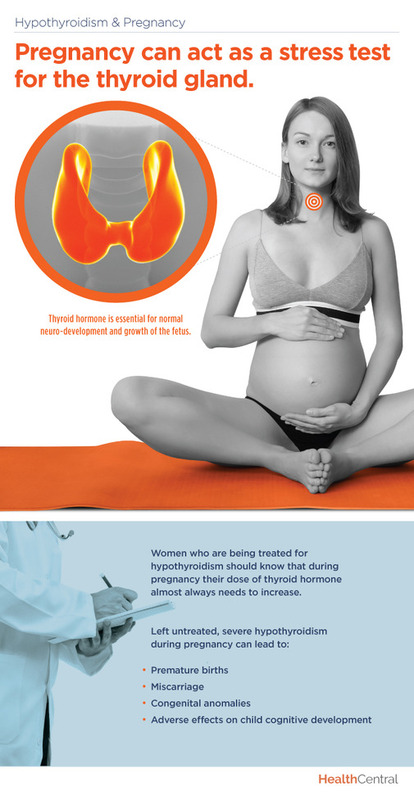 Do you have symptoms of hypothyroidism? Do you suspect your miscarriage might be because of hypothyroidism? Visit HealthCentral's hypothyroidism center for resources and connect with Dana at Hypothyroid Mom.